1. Have you seen Cooking Light's 2013 food trend predictions? 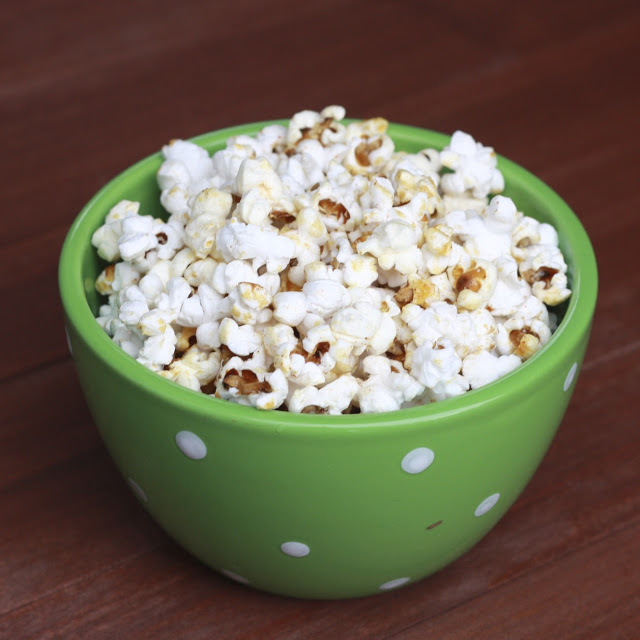 One of them listed is popcorn...something I've been loving long before it was a trend. Get crazy with some Spicy Kettle Corn (pictured below) or Bacon Bourbon Caramel Corn! 2. Over Christmas, while on a break from both work and school, I managed to do a little bit of reading for fun...a hobby I don't have nearly as much time for anymore and that I miss dearly. My Grandma bought me Recipes for Disaster: A Memoir and I finished it in two days. 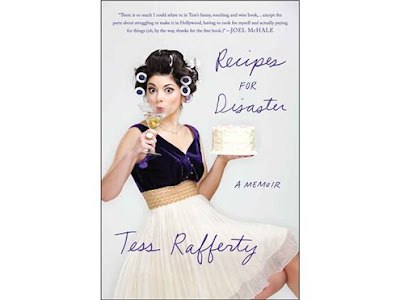 Tess Rafferty, the author, is self-deprecatingly funny as she walks readers through a saga of dinner parties and special occasions she hosted, encountering various catastrophes along the way. It was a quick, light read that still left you with some food for thought on how to (or not to) entertain! 3. While we're on the subject of things recently enjoyed, let's talk about the movie Pitch Perfect. My family watched this on a whim while all together over Christmas and laughed out loud throughout, mostly thanks to Rebel Wilson. I am envious of anyone with musical talent and I love to live vicariously through things like Glee and my cousins Ashlyn and Benjamin. We can now add Pitch Perfect to that list. I'm not one to watch movies more than once, but this is one I want to own and watch again and again! 4. Finally...a GIVEAWAY, because it's been a few weeks and this is one I'm particularly excited about! Last week I received some Brookside Chocolate in the mail along with a few other fun goodies (Crate & Barrel cheese board & knife, snack dish, 2 wine glasses, Visa giftcard, and headband). Needless to say, it was the highlight of my mailweek! I've made a conscious effort to return to "normal" eating after the holidays, but normal for me still includes sweets...which is why I've loved having the chocolate covered fruits to snack on in the evenings. It's safe to say I'm obsessed...and I've been trying to ration because I know I'm going to be sad when they're gone! Want your own kit of chocolate and everything else listed above? Brookside is going to send one lucky reader a package identical to mine! Leave a comment before Monday at 9 pm Central telling me what your favorite chocolate-covered snack is (s'mores? oranges? cashews?). I'll pick a random winner and announce on Tuesday!